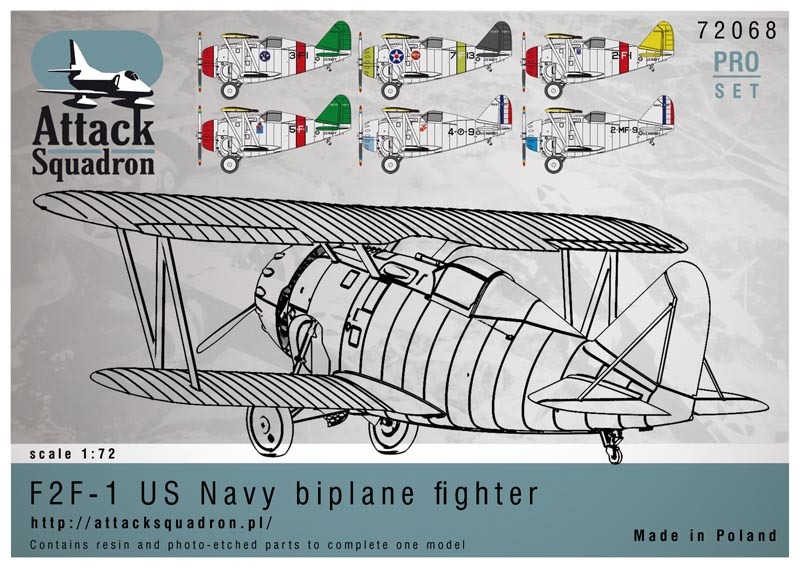 Home » Fighter aircraft @en » Grumman F2F-1 scale 1/72 – what’s in box? 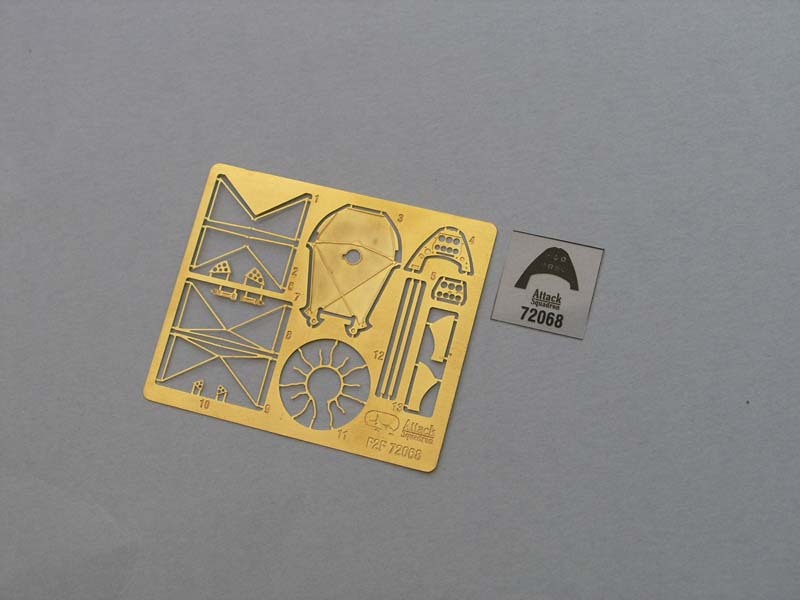 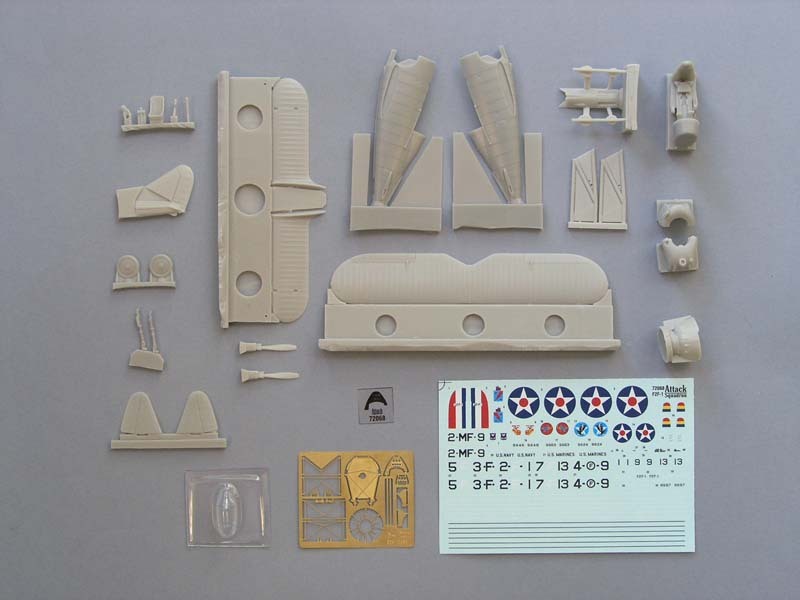 After opening of sturdy carton box you find resin parts, decals, photoetched parts and vacu canopy. 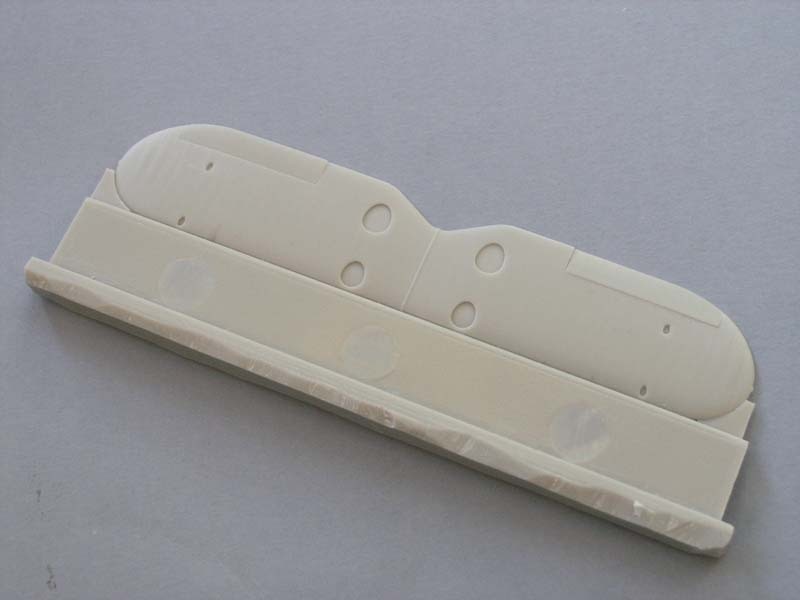 Photoetched fret contents control panel, engine fuses, firewall and parts of Grumman retracted undercarriage as well as tailplane supports. 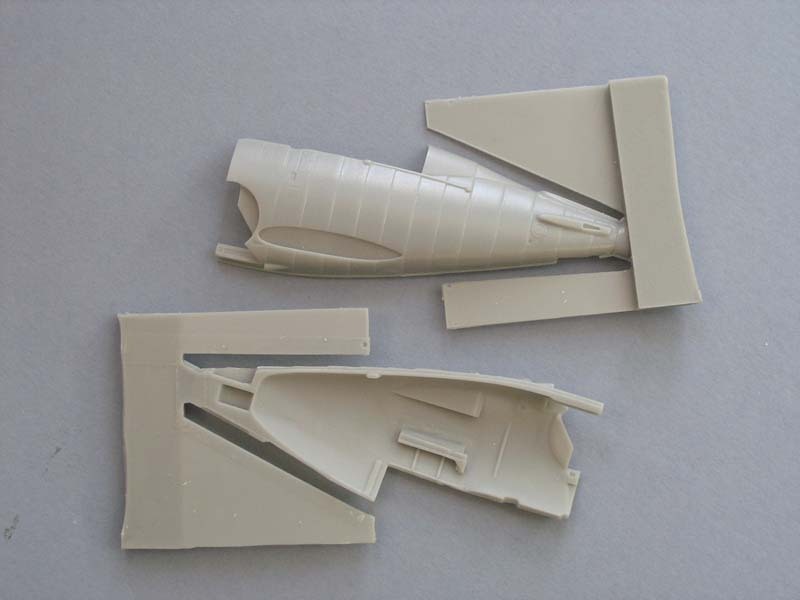 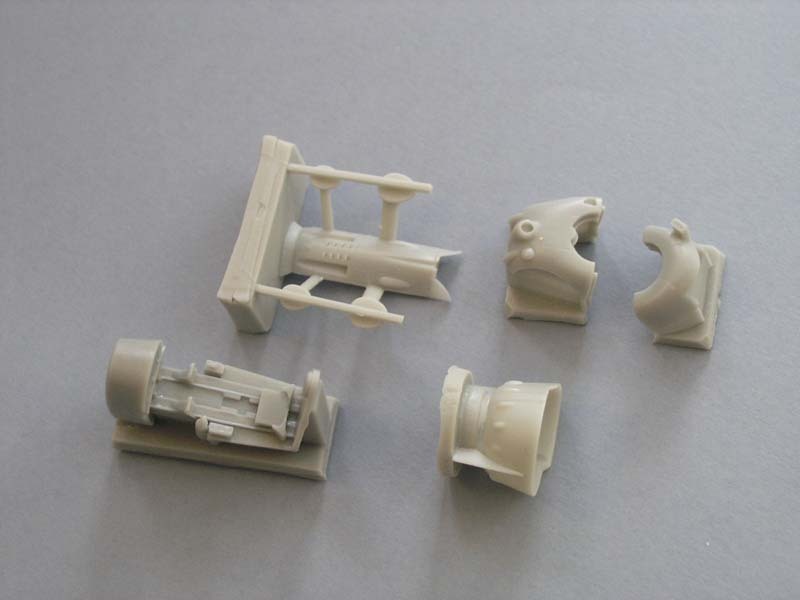 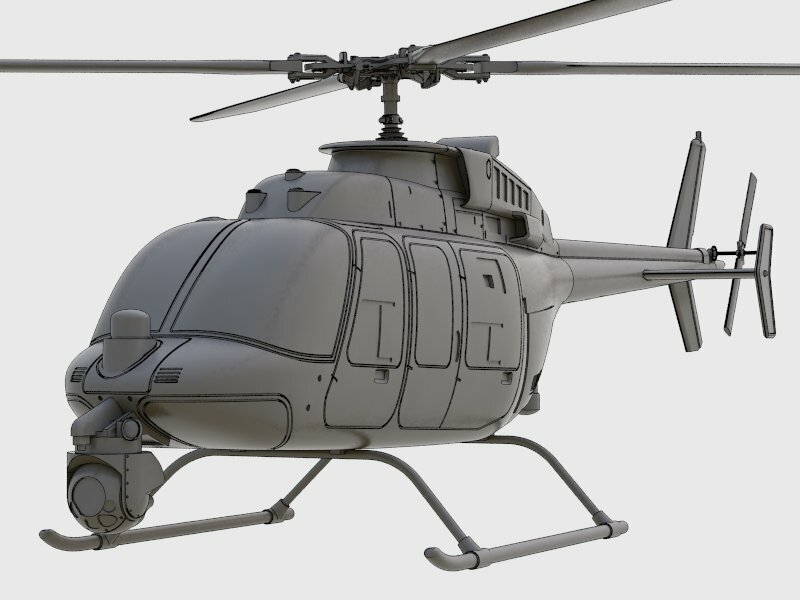 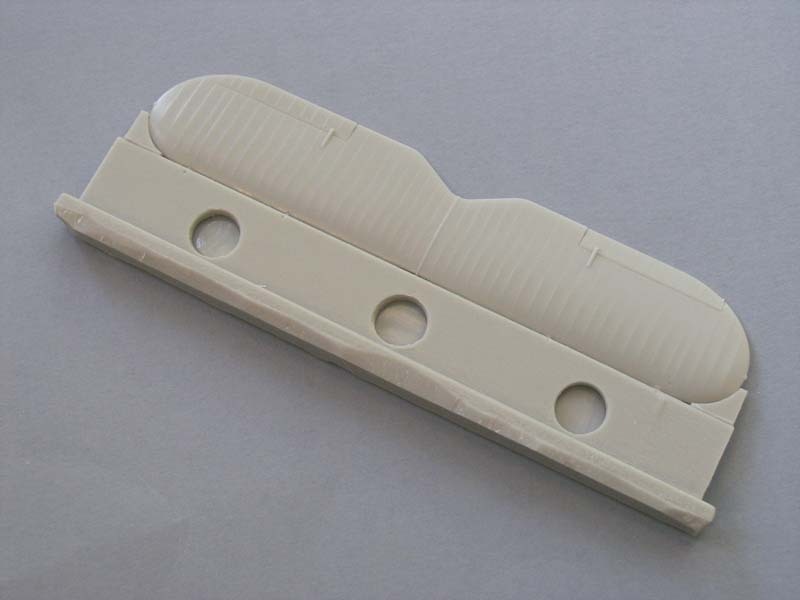 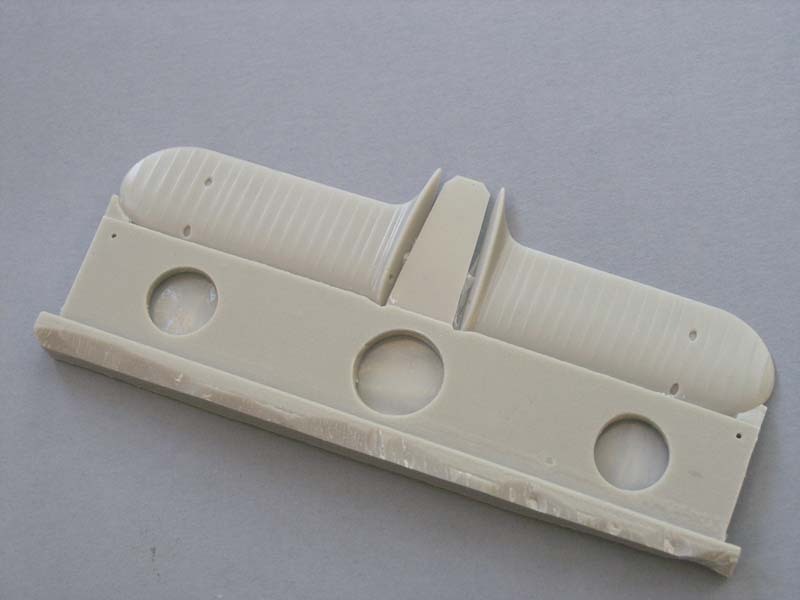 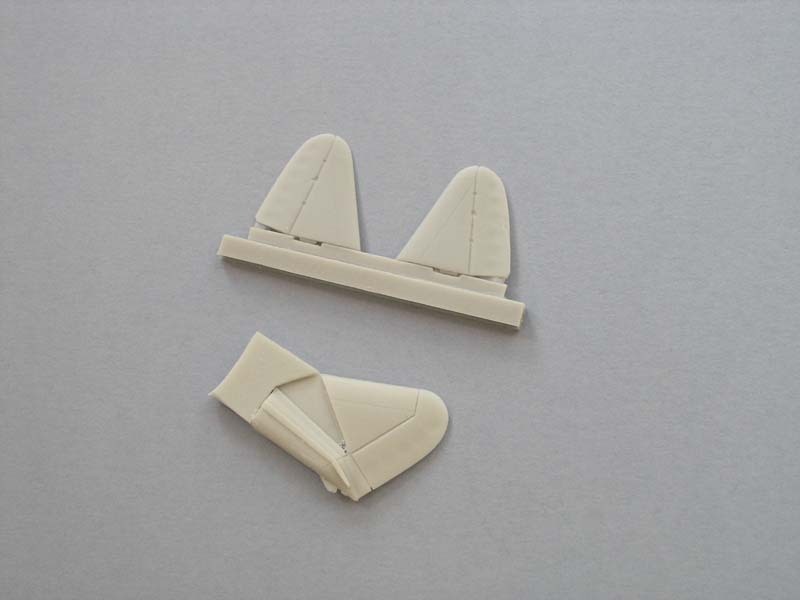 Small number of highly detailed resin parts allows quick build of kit. 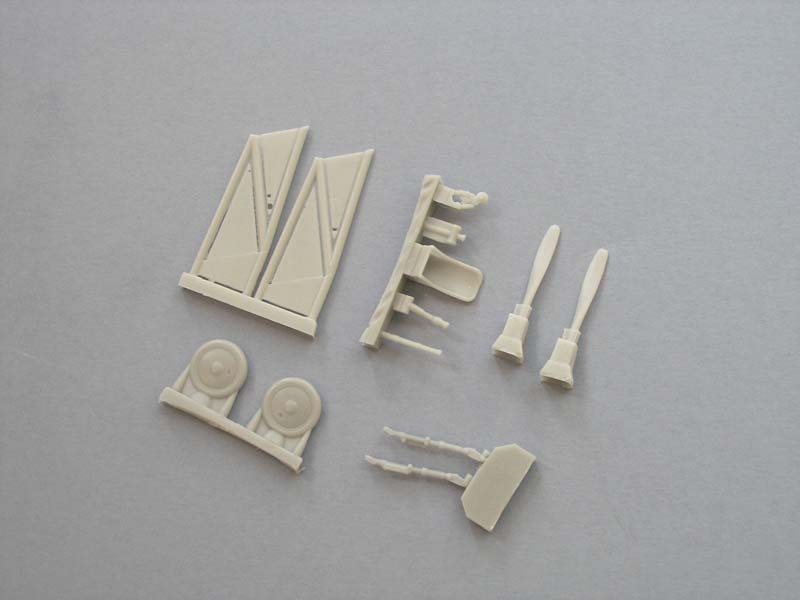 Buy model F2F-1 scale 1/72 in Arma Hobby web-shop.